You know how when you meet people you might encounter immediate red flags? If someone starts hating on Beyoncé this is a HUGE red flag for me. Why all the hate? I do not trust people who have a problem with Queen Bey. This is how much I just love Beyoncé. So… I hope you can understand how excited I was for this concert. 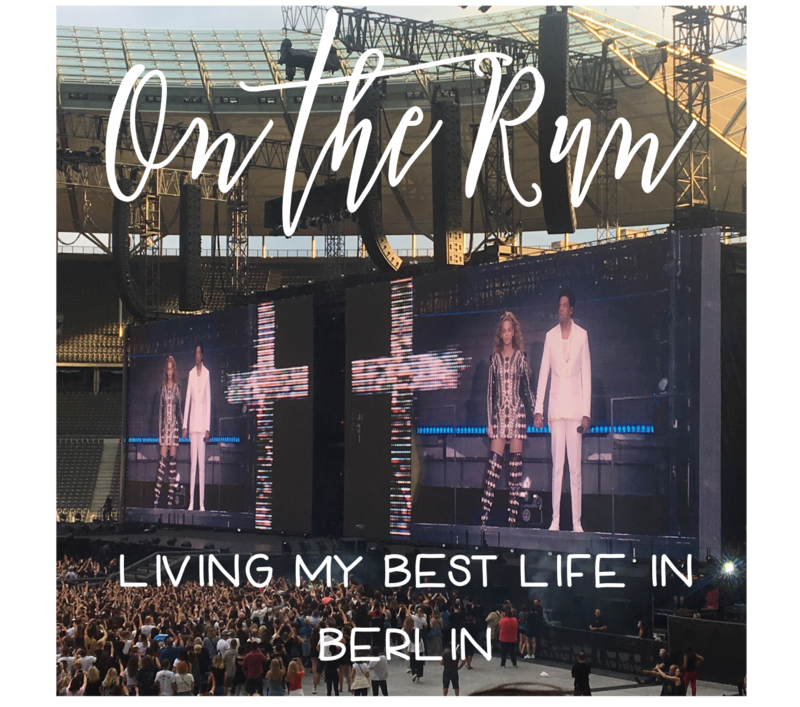 Here’s a small tale of how my love grew and what On the Run II was like! Please put your Beyoncé and Jay Z playlist on as you read this. It will only create the best experience for you as a reader. In 2014 my sister and I went to see On the Run in Chicago. At this point I was just a casual Beyoncé fan. I knew many of her songs but I would not have gone to the concert if it wasn’t for my sister’s enthusiasm. I could not have had more fun! This threw my love over the top into a full on obsession. Here we are with our friends about to have the time of our lives! We befriended the people around us and sang until we had no voices. This is one of the only pictures I have from this concert due to the rain. 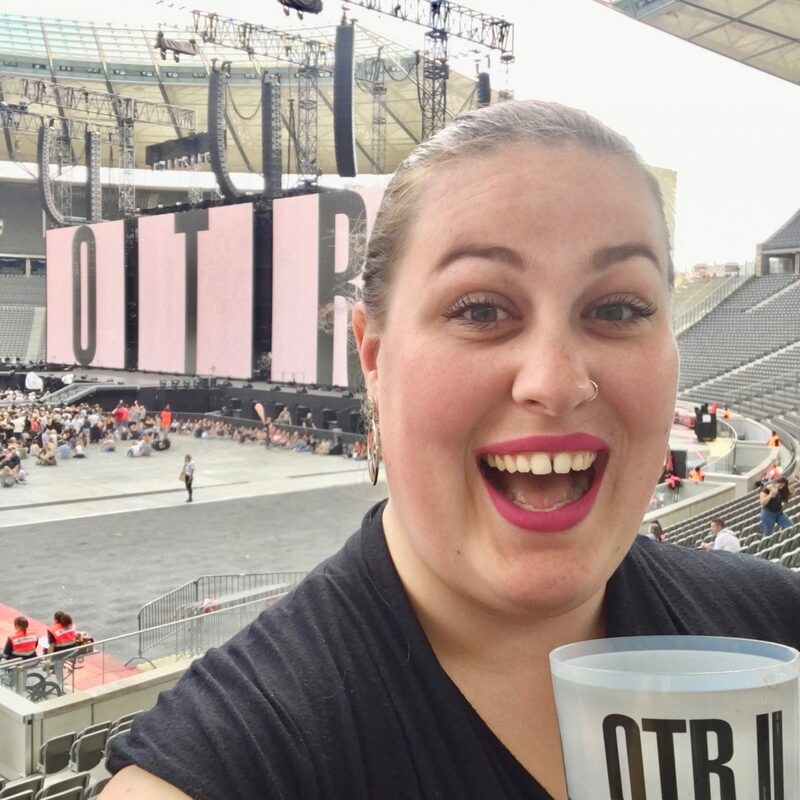 We were so excited for Formation World Tour but slightly concerned about the rain. Right as Beyoncé was due to make her entrance it started pouring. My phone got slightly damp- I swear it was not even totally wet even though the man at the Apple Store told me I was lying and my phone had been submerged for several minutes…. ANYWAYS! The concert was amazing even though I got so sick from being wet and cold and then had to purchase a new iPhone before moving to Poland. When I found out that Beyoncé and Jay Z were going on tour again I was so excited I couldn’t contain myself! When I found out they would be in Europe right as my summer vacation began I went a little crazy and then I realized that I would have to go to the concert without my sister. 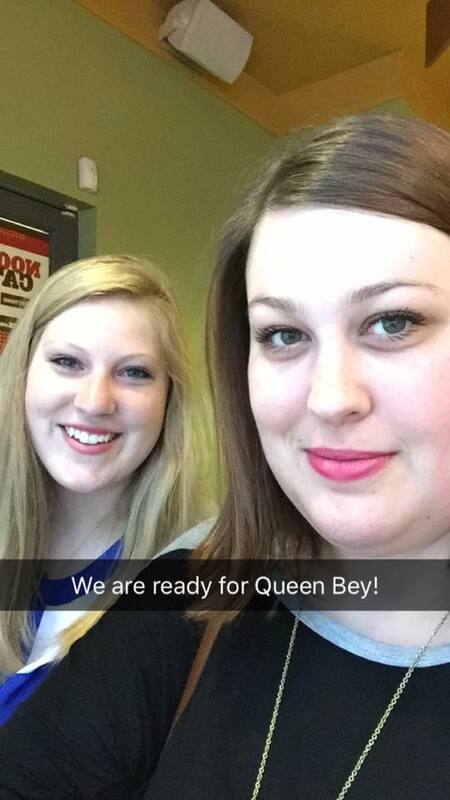 Beyoncé is our thing. We message each other all the time about her and keep up with her life. Our best dance parties are to Beyoncé. When we go to concerts my sister knows all the rap parts and I know all the non-rap parts. We compliment each other very well. I would have to go without her and she would have to go without me. I was pretty upset. I bought tickets to see them in Berlin but was still feeling unsure of going without my sister. This is part of the expat life that is hard. When you live in a different country than your family you miss out on some events in their lives and they miss out on some events in your life. Sometimes you have to break traditions that have always been important and do them on your own. This was Beyoncé and Jay Z. I looked to see when they were playing in Chicago to see if I could return to the States to see them with my sister but it was too close to the start of the school year. I would have to drag Emily with me and just discuss it with my sister after the show. The concert was held at the Olympiastadion in Berlin. This venue has historical significance as it was used during the 1936 Olympics. The Nazis decided to use these Olympics as propaganda to promote their ideas of racial supremacy. Jesse Owens, an African American athlete, won his gold medals in this stadium. Hitler congratulated the German winners and other winners but refused to congratulate the US’s Black athletes. The Olympic Committee told him he must congratulate all winners or non and he chose not to congratulate anyone. This win for Black athletes provided evidence that Hitler’s racial ideals were misinformed… of course! 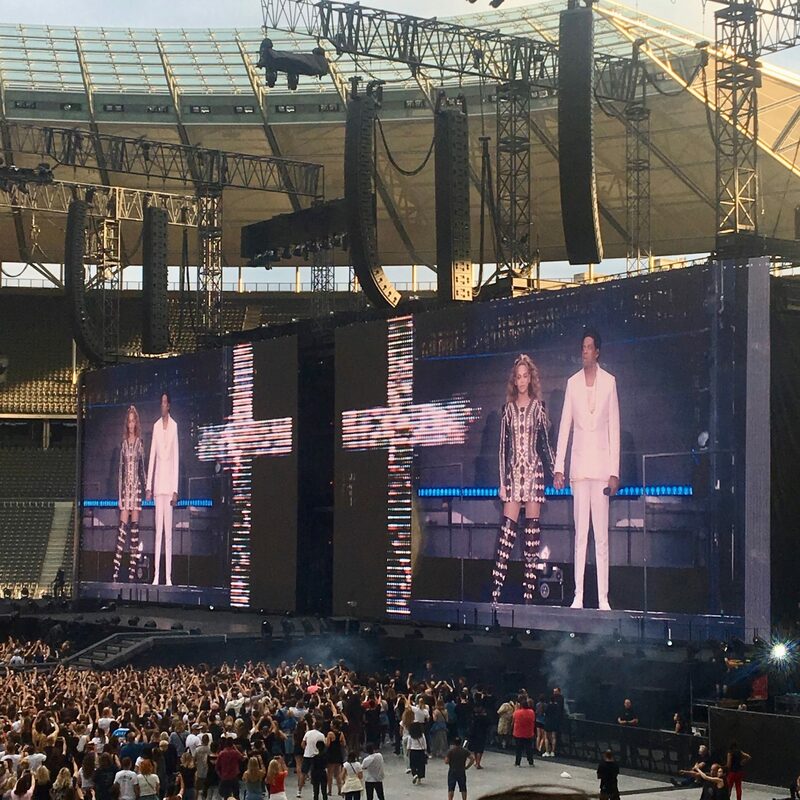 Beyoncé and Jay Z did not let this event go unrecognized during the concert. 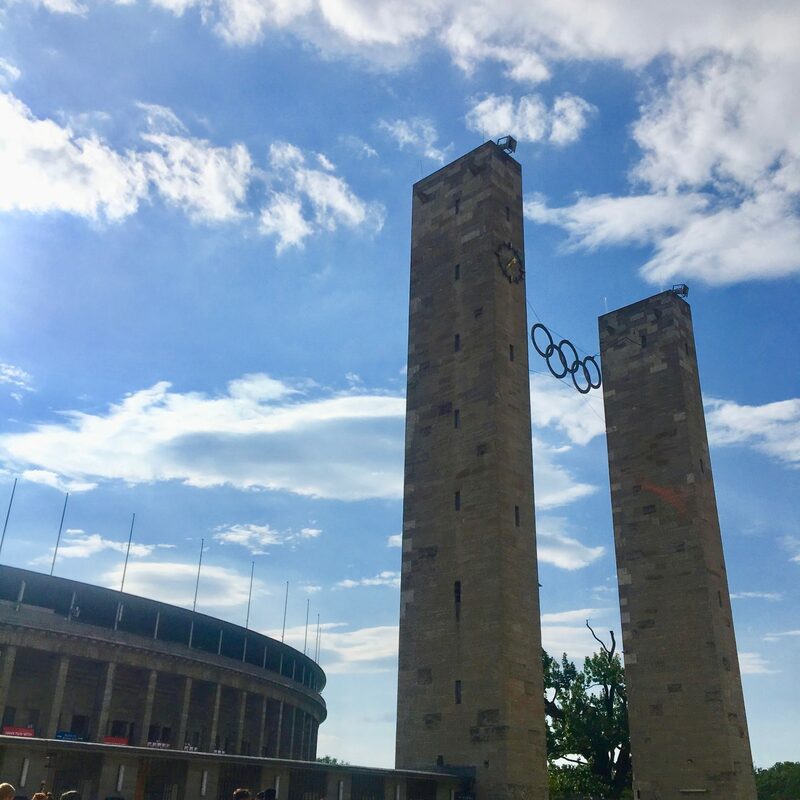 At the end they noted the significance of playing a concert in the same location Jesse Owens won his gold medals in Nazi Germany. When I bought our tickets it was a whirlwind of a day. I logged on and saw that flights and hotels were cheap in Berlin so I bought tickets in Berlin. I didn’t pay too much attention to where we were sitting. As we walked down to our seats I thought Emily was messing with me because there was no way we were that close- but we were! 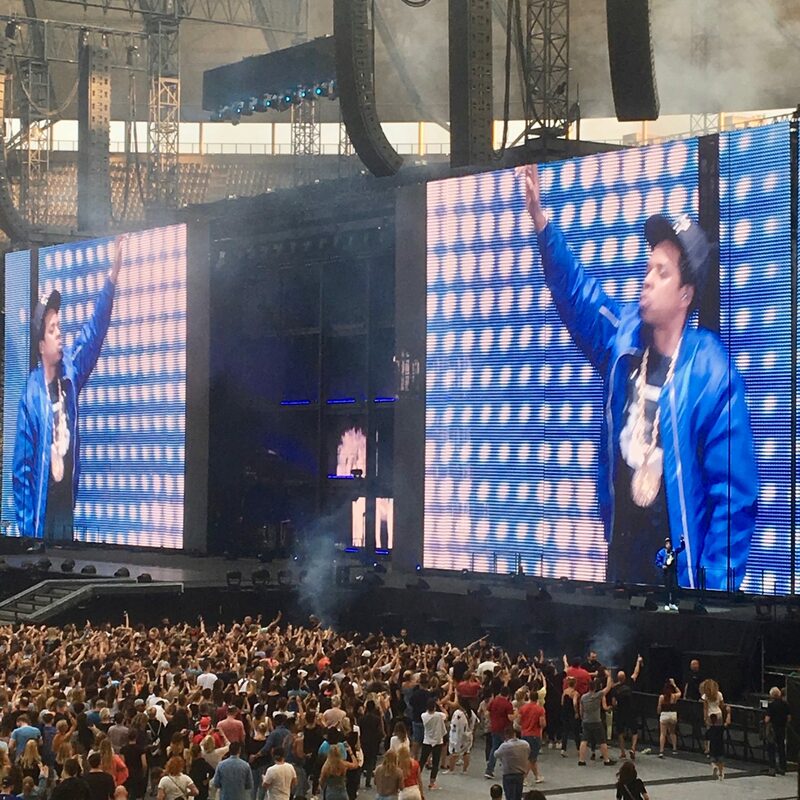 I could not believe that I could actually watch Beyoncé and Jay Z in person instead of on the jumbo screens. Also if we are friends I already sent this picture to you saying “no zoom!” because I was just so excited about it. Just look at that upgrade between the first concert and this last one! Our seats were amazing and we were surrounded by the greatest, most entertaining of people. Next to me was an older man who was only at the show for Jay Z. He stood up and danced to every song and so did his wife. They were adorable. 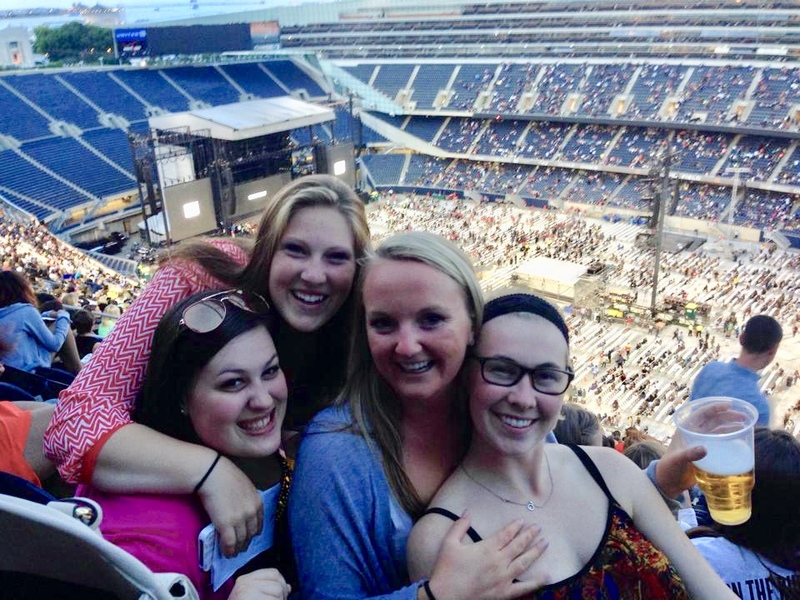 On the other side of Emily were girls who were only here for Beyoncé. They would sit down every time Jay Z sang. To be honest, I don’t understand these types of people. This happened at the first concert as well. You paid money to only enjoy half of a concert? That just doesn’t make sense to me. Then in front of us was a couple who had brought both of their parents and neither of their parents knew much of Beyoncé and Jay Z but they both tried to get into it. It was adorable. I don’t know if you can just soak in the pure amazingness that was this concert through the pictures but it was solid! It lived up to the very high expectations that I had for it. In fact, I enjoyed it so much that when I returned to Krakow I looked up ticket prices in Warsaw to see if I could afford to go again. I mean, I did let you know at the beginning how much I love them! I could afford to go but decided it wasn’t the greatest use of my money… maybe I should spend that on a trip so I can lay on a beach this summer. Here’s a confession though.. this time around I liked Jay Z better than Yoncé. I don’t know. I don’t know! Last time I was not impressed by Jay and this time I was loving him. Now that isn’t to say that I didn’t like Beyoncé. I loved her too! They were both amazing!! 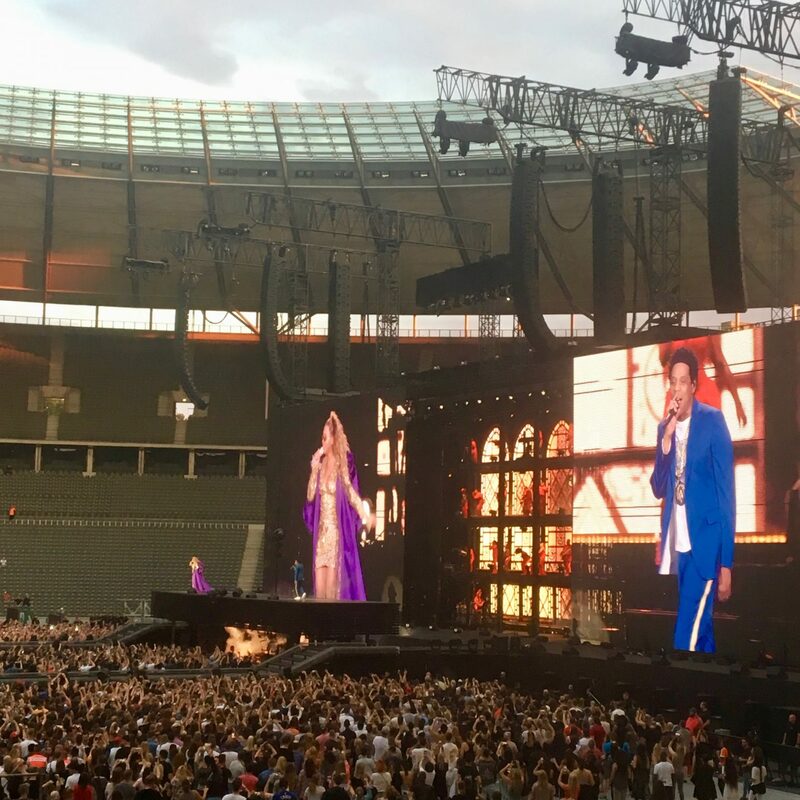 One- After the concert in Berlin they had a radio station that only played Beyoncé and Jay Z. That was amazing. I think that radio station should exist all the time. Amazing. 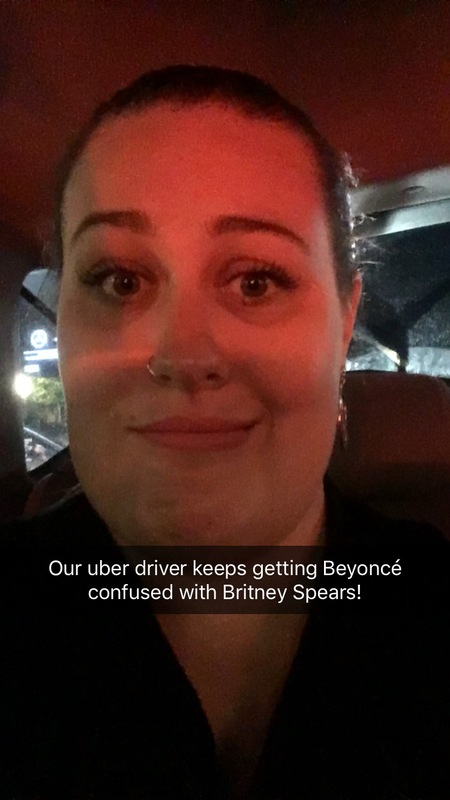 Two- Our driver kept forgetting who was in town and kept asking us how the Britney Spears concert was. While I love Britney, we were not at at Britney Spears concert. We saw the king and queen! Three- Safety was not our driver’s number one priority. We drove backwards down a road for a long time. We almost got hit by a huge truck going through an intersection. We weaved in and out of traffic going far too fast. He had terrible road rage but we didn’t have to sit in any traffic for too long and we made it back to the hotel in record speed! My sister is going to see them on August 11th and I can’t wait to hear what she thinks! Anyone else going? Let me know! You are going to love it!